Below are some of the ways we show our love to our church family through our many congregational care ministries. If you are interested in volunteering with one of these caring ministries, please contact the Church Office by email or by calling Jane Shore (336-722-6171) and she will have the appropriate person contact you. Volunteers are always welcome. Bereavement Support – A choice of a visitation reception or a family meal is provided to the family upon the death of any of our church members. 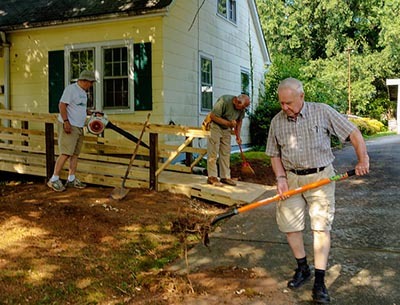 Caring Construction – Members find creative ways to help those who need special projects done such as a ramp to help them come and go from their homes. Curbside Assistance – Members greet those arriving for worship and assist as needed. 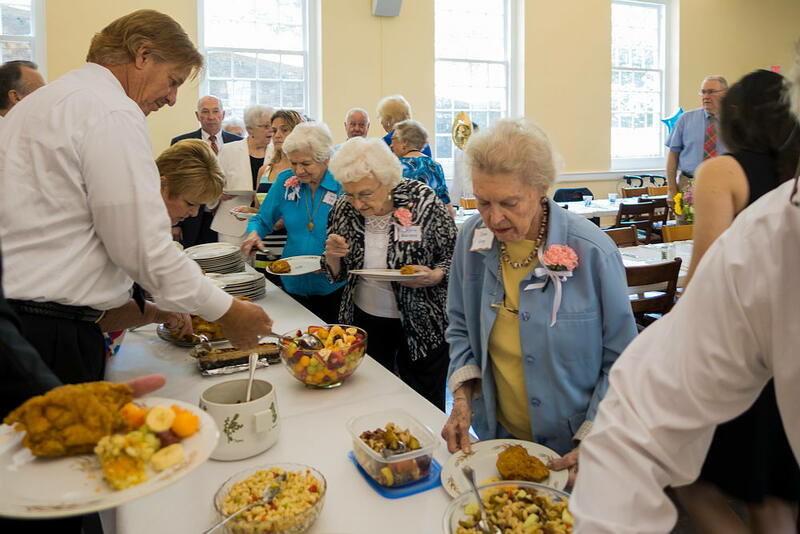 90’s Plus Celebration – Each spring a potluck luncheon is held to honor all our members who are 90 years of age and older. Personal Contact – Various groups within the church provide home visits, cards and phone calls to fellow members of the congregation. 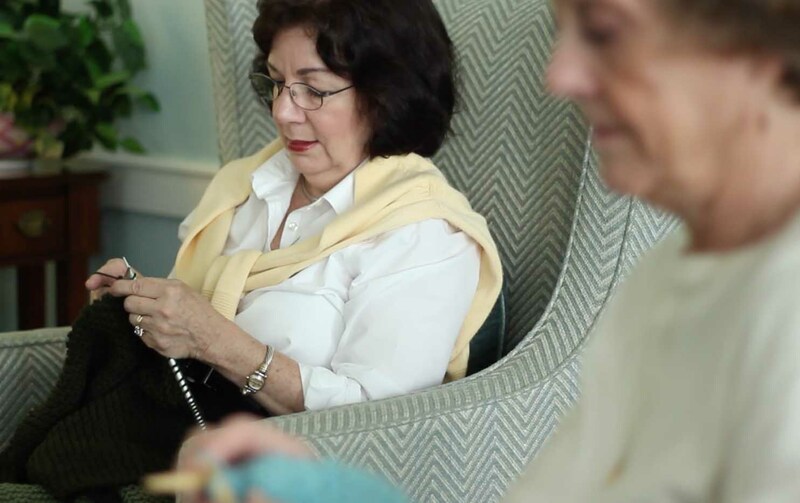 Prayer Shawl Ministry – Members meet to knit shawls that are taken along with a written prayer to members and friends who are in situations that need special support and prayers. Prayer Tree – Prayer concerns that are reported for sharing are relayed to volunteers who pray faithfully about the situation. Sanctuary Flowers – Members deliver flowers from the worship service to members and others who are shut-ins, sick or in special situations. Transportation – Volunteers drive the church bus to bring members to worship services upon request. Our Salemtowne members receive this service every Sunday morning.